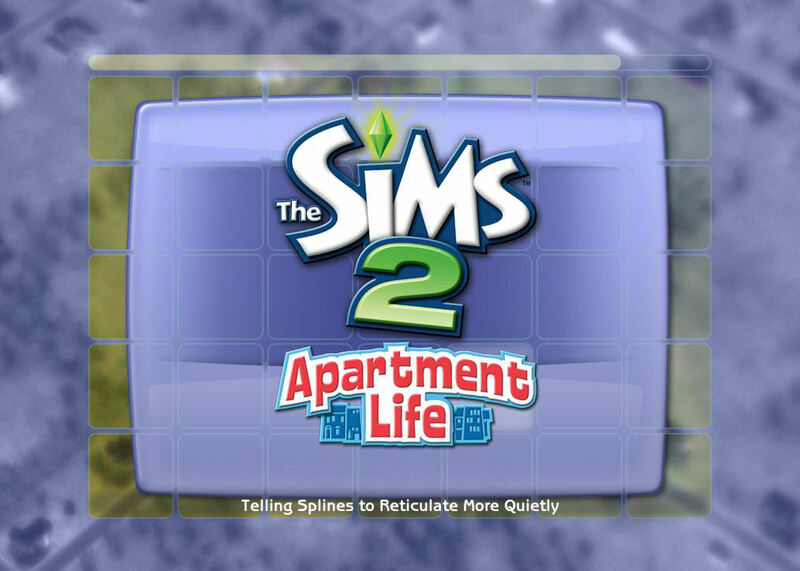 The Sims 2 Apartment Life - Penthouse Paradise or Flatshare from Hell? 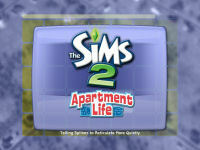 When I heard about Apartment Life being the final expansion pack for The Sims 2, I looked forward to it with interest. 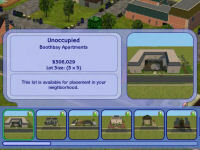 I had been after having my sims live in apartment buildings for a long time. When Nightlife came out, I thought that would be the ideal opportunity to introduce it. 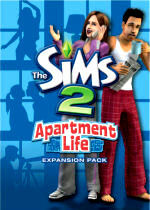 Well, it has taken another three years and apartment living is now a reality as the expansion pack is here. With a lot of people looking forward to it, can such an expansion pack meet with those expectations? This indepth review will tell you whether we think Apartment Life is a penthouse paradise or flatshare from hell. Click on the thumbnails for bigger pictures. With installation and registration, there is nothing new there. Also, the loading screen that we first saw with Bon Voyage now seems to be regular. Once you click on the big "Play" button, you get the usual start-up video, which has no surprises or changes. That is followed by the sim-blue loading screen with the scrolling comments along the bottom. 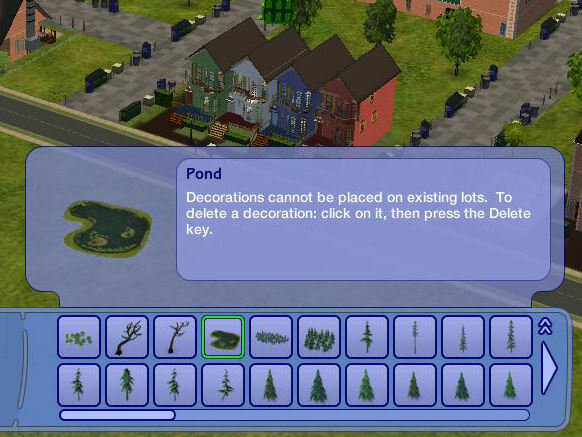 I had been getting disappointed with the "reticulating splines" comments in earlier EPs, but this one made me laugh. I was fortunate enough to catch it again is they go very quickly. Before long, it has loaded up and we are now presented with yet another new neighborhood to explore. I will be looking in more detail at Belladonna Cove later in this review but it does seem like a good place to start to see what there may be in store for us. What's new in the new hood? 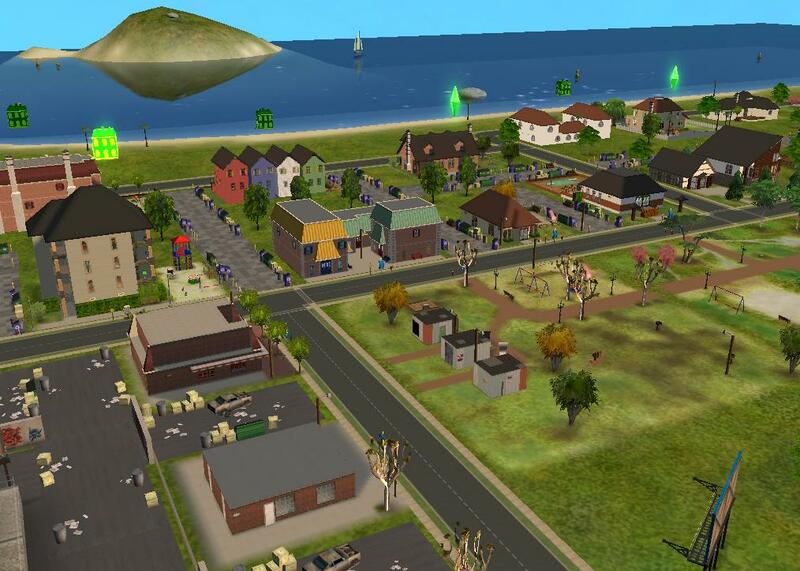 This is the third new neighborhood that has been added to the core game. 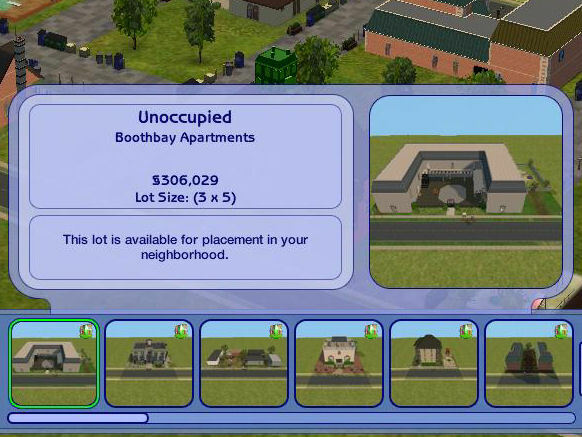 Not counting custom neighborhoods that you might have made, that now makes six pre-established neighborhoods. I am predicting another poll some time at the official site about which is our favourite neighborhood. 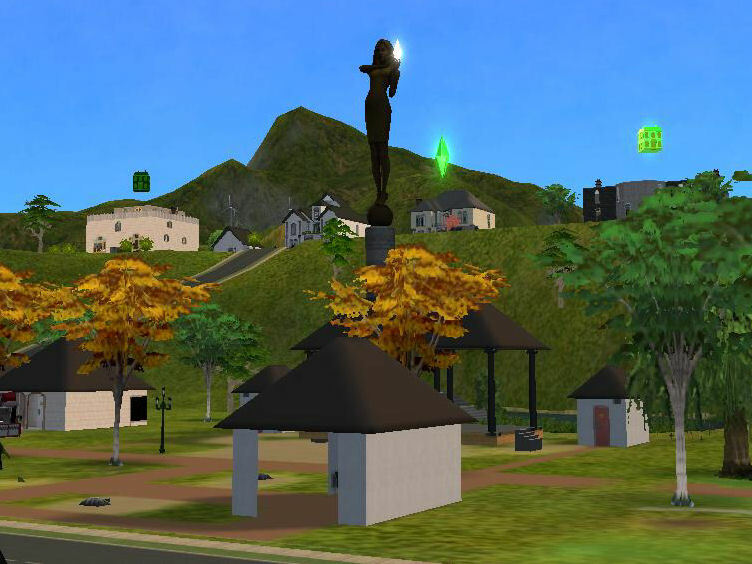 As is common with Maxis neighborhoods, there is a flyby tour of the neighborhood, finishing at a large monument in the centre of the hood of a beautiful woman holding a platinum plumbbob. Naturally, this has to be Bella Goth.. There is the usual story about the neighborhood, giving us a brief insight as to who is who. There is a rich guy who has adopted an heir as his girlfriend left him when he got pushy. There also are two sisters who appear to be involved in witchcraft, which is a subject we will be spending a lot of time on later in this review.. I had expected all of the neighborhood to be multi-occupancy lots, which is a broader term that covers as well as apartments, any rented building where more than one family can live. There are some ownable lots as well which range in price. Already, I am getting the impression that this expansion contains quite a lot of new material and adds more to the gameplay style. While I was in the neighborhood, I chose to have a look at the neighborhood dÃ©cor. 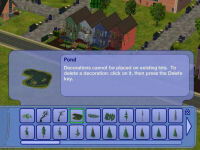 There are new trees, including extra forests of both beech and fir trees and also a nice pond. The main area of additions are "urbanising" props such as alleyways, a bus stop, billboards and large buildings. One large prop is the actual statue of Bella Goth and her permanently platinum plumbbob, which makes me wonder what lifetime achievement she reached to get it that way. Anyway, there are quite a few new lots in the lot bin, both the regular lot bin and the specialist lot bin. The specialist lots are apartment buildings and most are just copies of existing albeit unoccupied apartment buildings in Belladonna Cove. There are some new families as well. There is the Goodie family, who are a couple of seniors, who want to see the world. 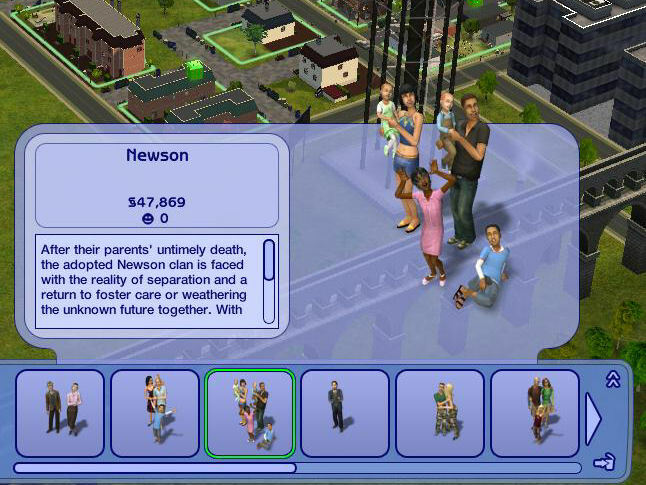 There is the Gavigon family, who are a couple and child, and the Newsons, which is a family of orphans who don't wish to go back into care. With two teens, two children and two toddlers, they may have their work cut out for them. 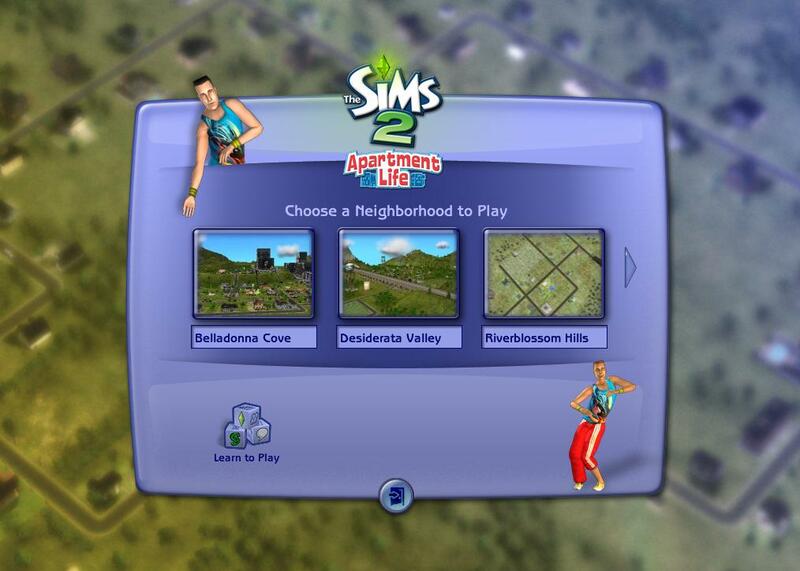 In the next part of our review, I will be creating a new family, showing the new hairstyles and then moving them into one of the apartments in Belladonna Cove, meeting the helpful neighbours and finding out which one is able to quickly build a reputation. Written at 00:02 on Wednesday 3 September 2008 by Andy.